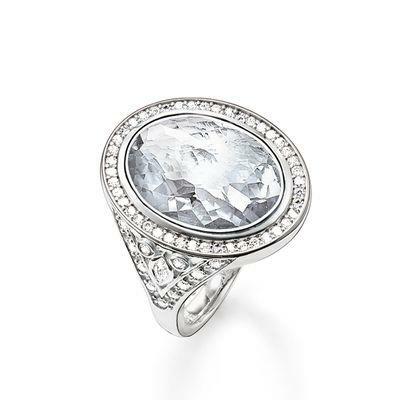 Complete your evening look with this fabulous cocktail ring from Thomas Sabo. This beautiful design features a faceted clear Cubic Zirconia stone elaborately embellished with more glistening stones with intricate detail extending down the Sterling Silver band. This stunning statement piece will complete every outfit and looks fabulous worn with matching pieces from the Sterling Silver collection.